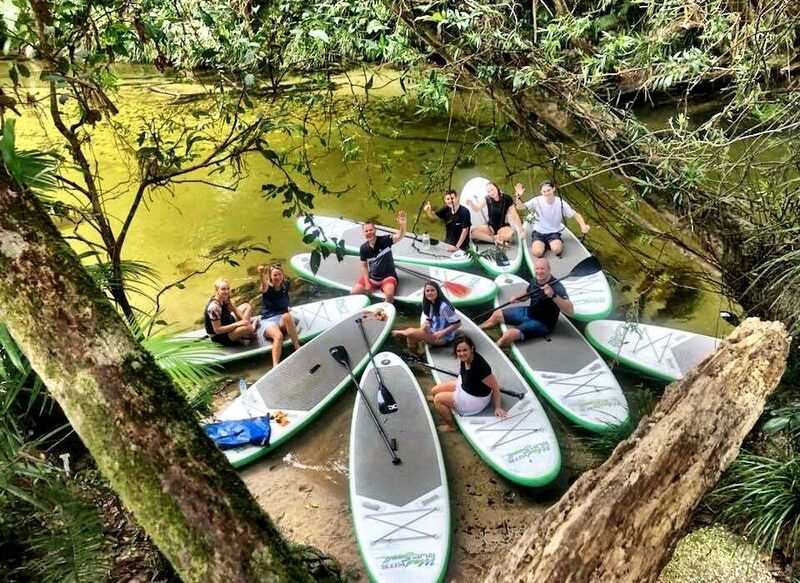 Explore the Rainforest on a magic Rainforest River Standup Paddle Boarding Tour through the oldest living Rainforest in the world! 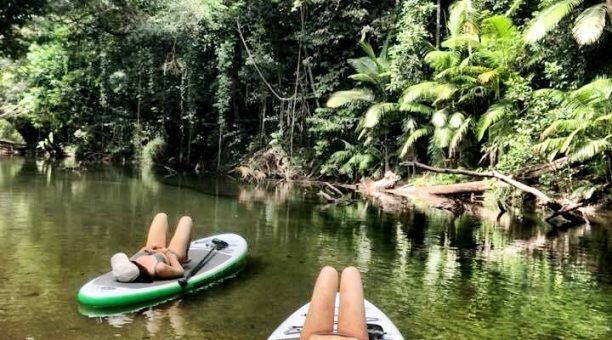 Located right next to the Mossman Gorge, you will experience the jungle from a different perspective. 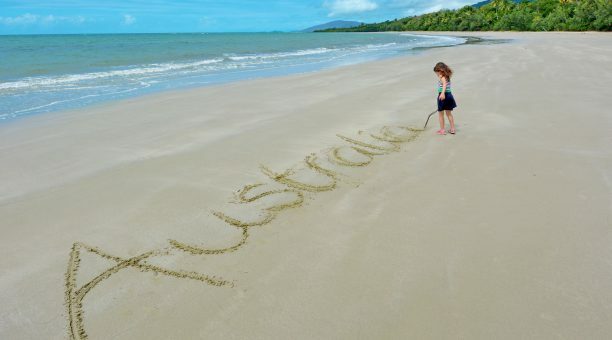 A must do if you’re staying in Port Douglas! 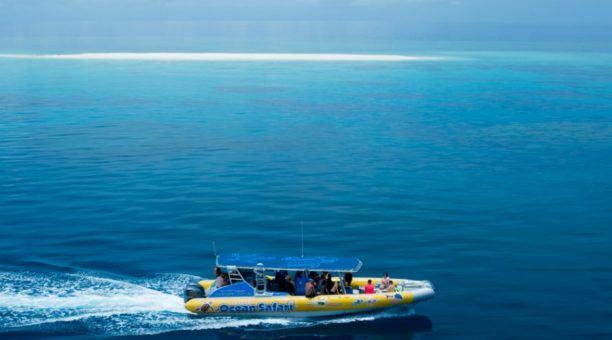 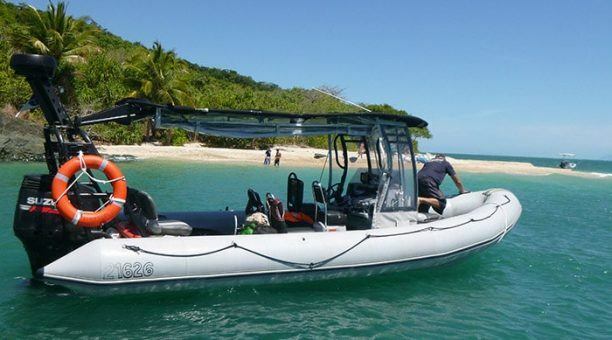 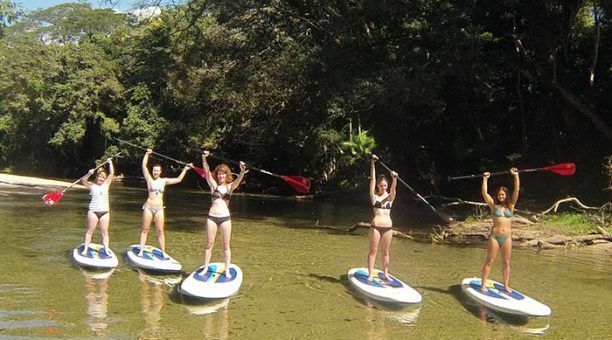 You will spot loads of wildlife while floating along the pristine Mossman River. 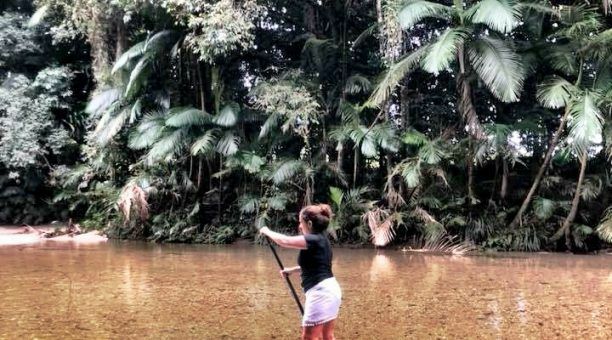 Just like bush walking without leaving your footprints behind! 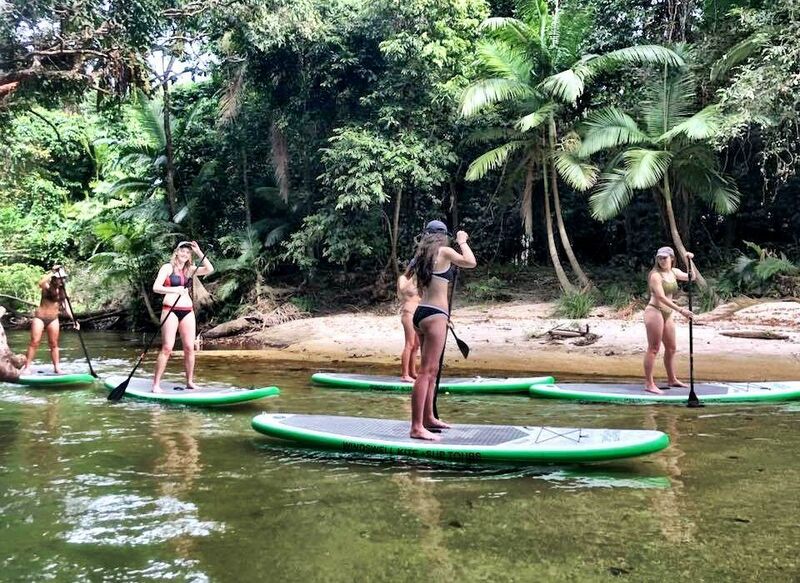 Your experienced Standup Paddle Boarding guide will give you a quick skills lesson before jumping into the beautiful fresh water to practice your new skills. 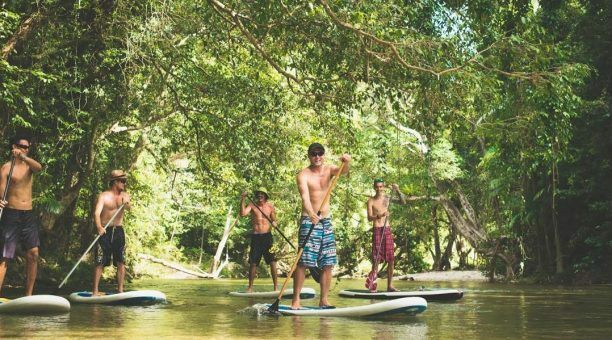 You will stop off at one of the many spectacular swimming holes the region has to offer. 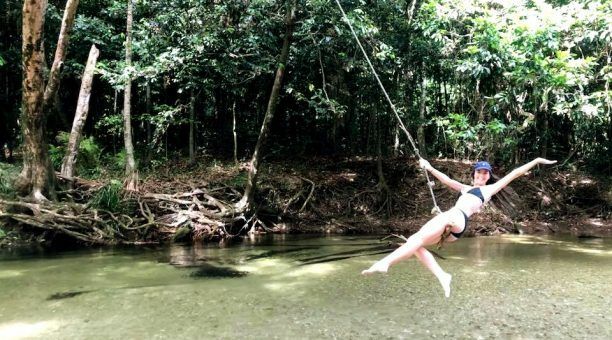 Fly through the air on our rope swing! 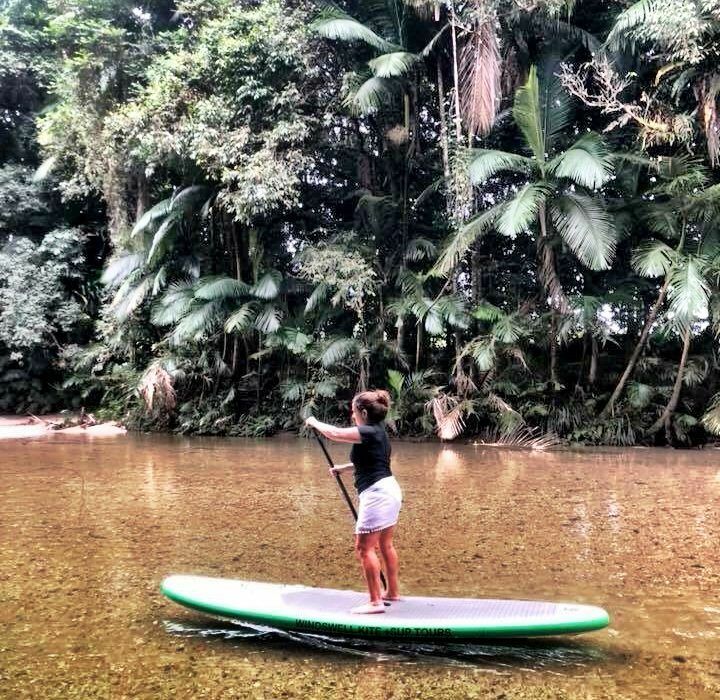 Taste amazing exotic locally grown fruits and listen to the sounds of the Rainforest as you drift down stream. 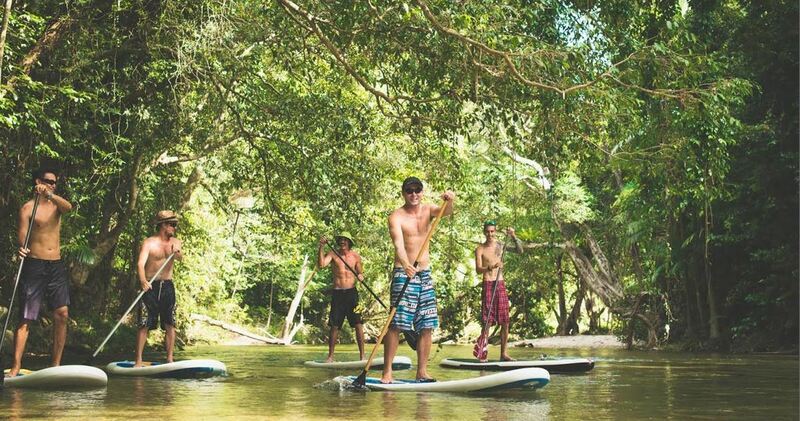 You will have the chance to try lay down paddle boarding on the journey back downstream. 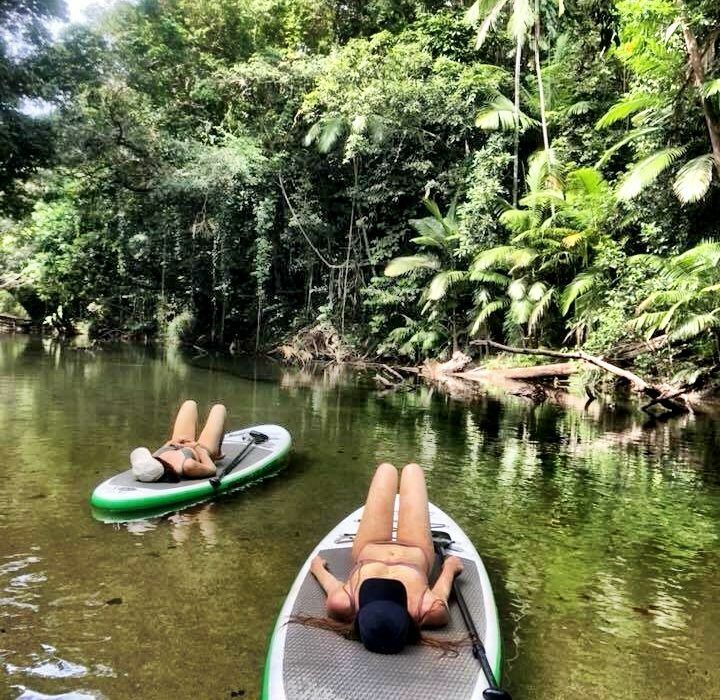 Relax and watch the sun shine through the Rainforest canopy, instantly putting you in a happy and relaxed state of mind. 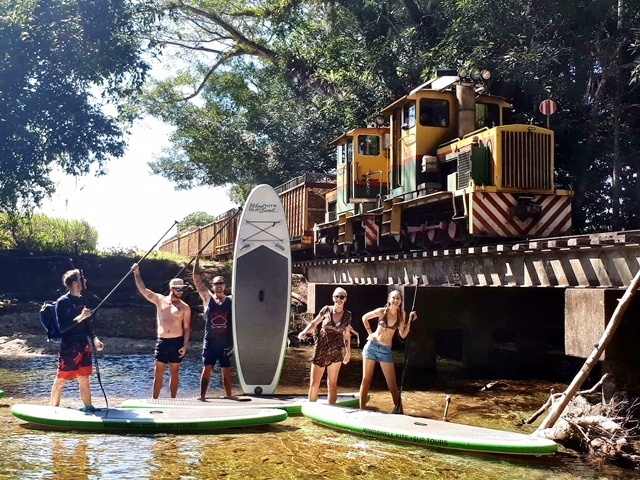 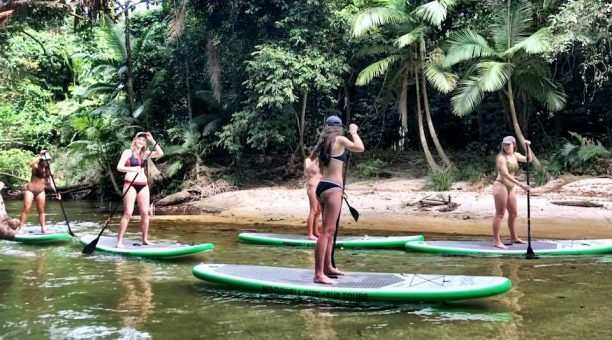 Everyone will love Rainforest River Standup Paddle Boarding! 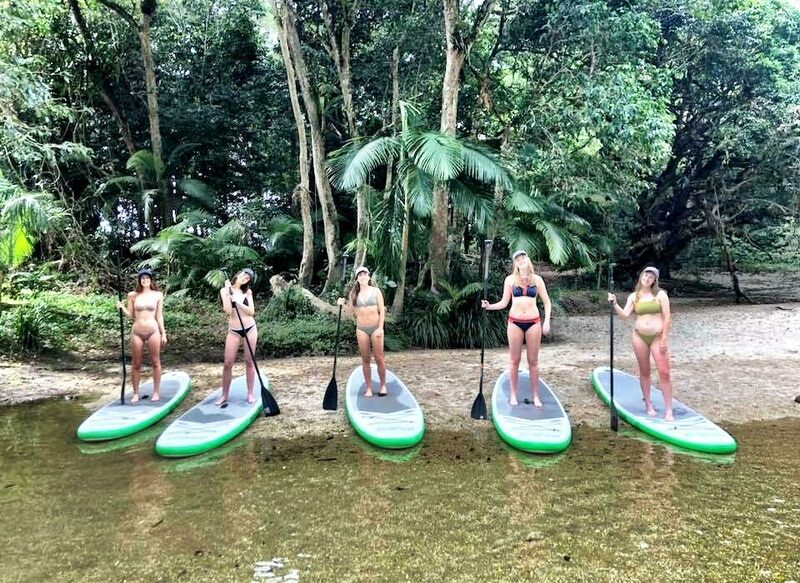 One of the most unique experiences out of Port Douglas. 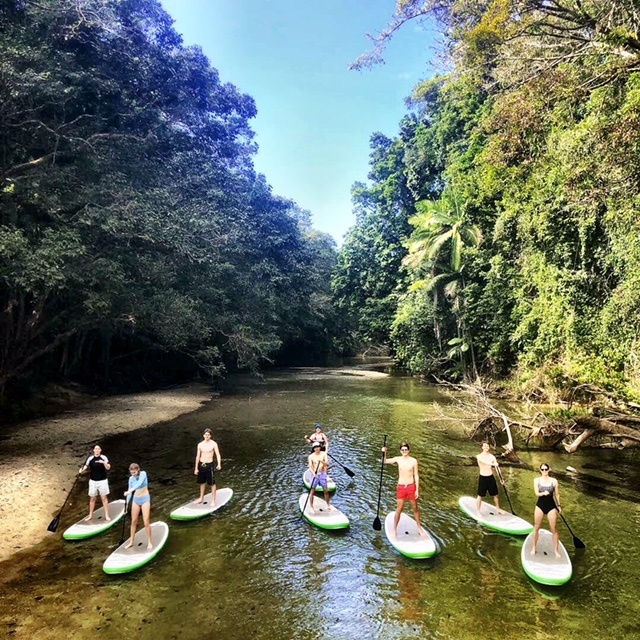 Take a morning Rainforest stand up paddle board tour drifting down the Mossman River. 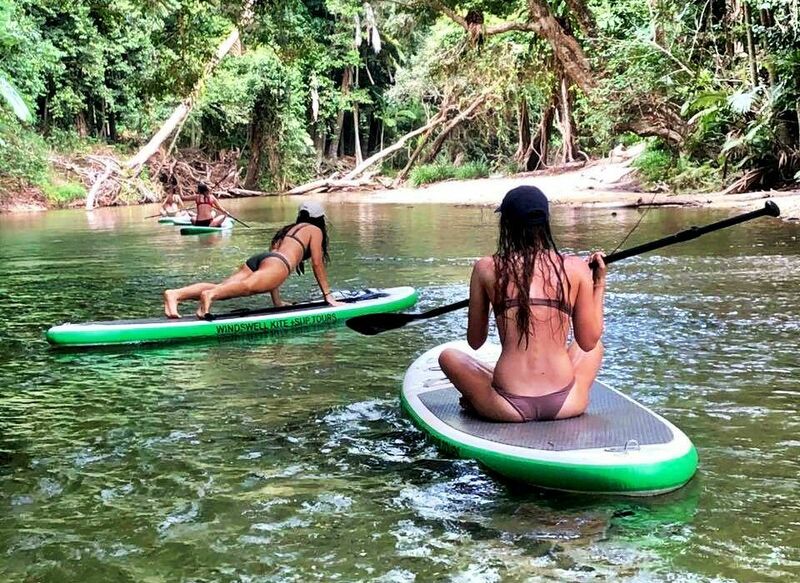  Wildlife spotting, learn new skills, swimming in beautiful water holes, listening to the sounds of the rainforest. 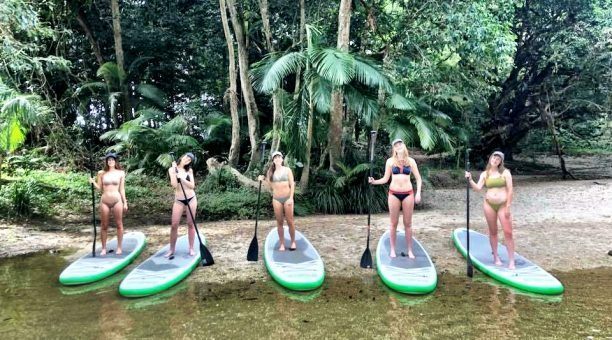 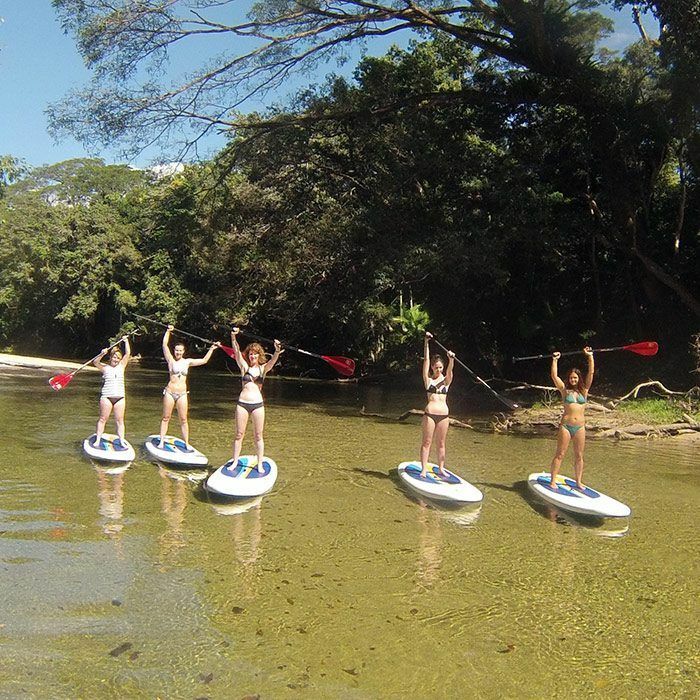 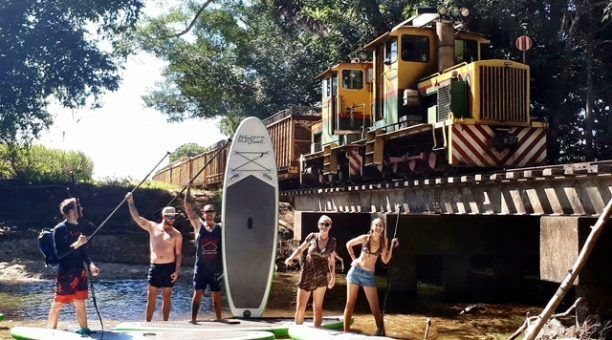 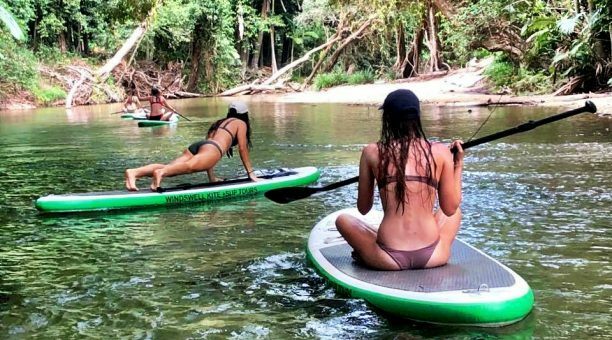 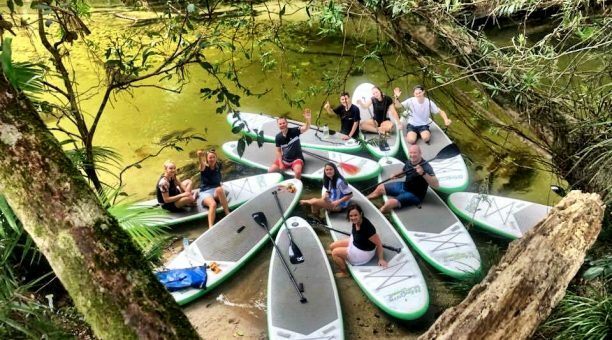 Take an afternoon Rainforest stand up paddle board tour drifting down the Mossman River. 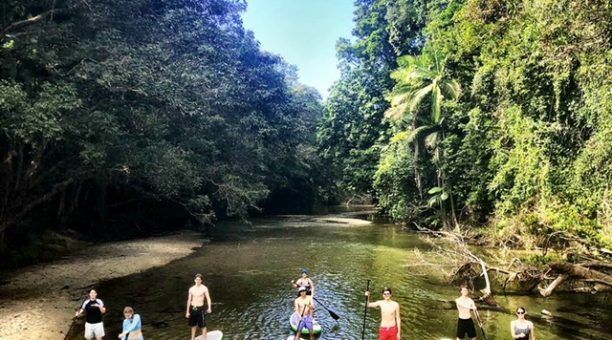 Wildlife spotting, learning new skills, swimming in beautiful water holes, listening to the sounds of the rainforest.